An empowering superhero of her own. Storm is from the Marvel Comics and at times even plays the girlfriend of one this years biggest movie superhero: Black Panther. 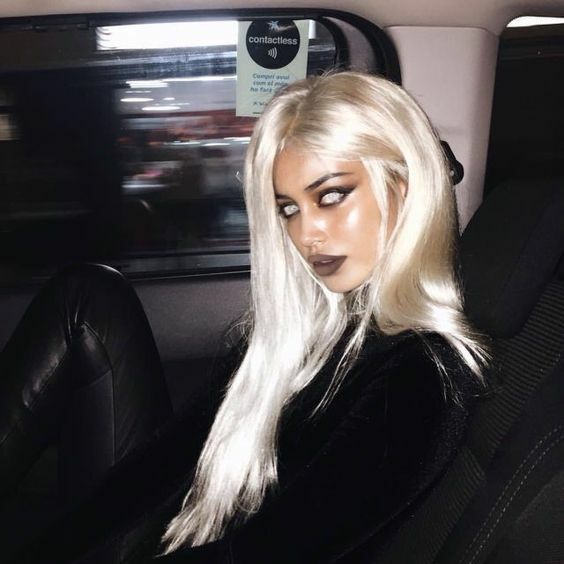 Her suit is easy to style as an all black latex suit with a gray or platinum white wig and white contacts. The perfect costume alone or paired for a superhero couples costume duo. Who can be more glamorous than Cleopatra? Her costume exudes regality and elegance. She’s the ultimate provocative costume with just enough seduction without being trashy. A rather new costume trend that continues to show up is the bride costume in celebs like Kourtney Kardashian. A DIY is simple, all you need is a white corset, veil, and tutu. We love to add white stockings and fake blood to finish off the look.